Arrival at Entebbe International Airport. You will be picked by our staff and taken to your hotel in Kampala. After breakfast start off for Fort Portal town heading Southwestwards through the Albertine rift. This journey takes you through a beautiful scenic area characterized by escarpments of the western arm of the Great East African Rift Valley. 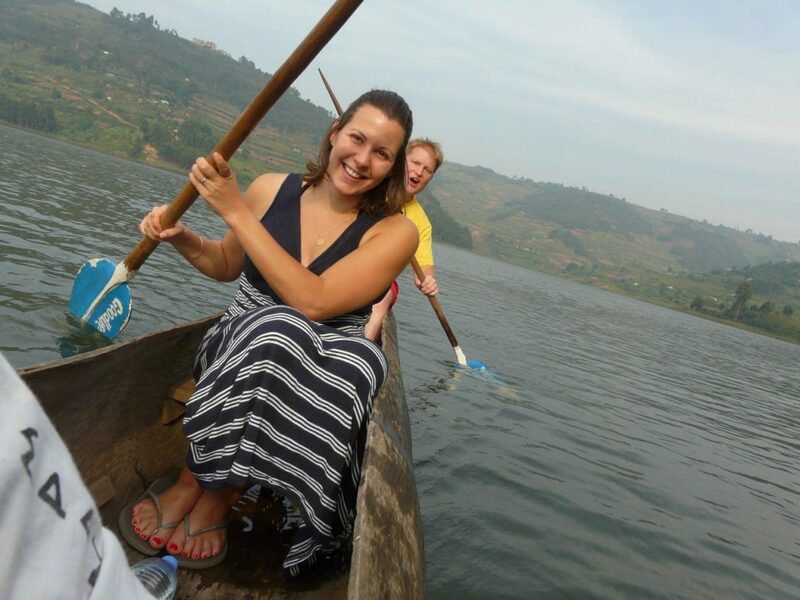 On reaching the colorful and beautiful Fort Portal town located in the shadow of the mythical Mountains of the Moon, you can visit the cultural sites, caves and other historical features. Continue to the lodge for dinner and overnight. After an early breakfast, drive to Kibale Park headquarters where you will be briefed about the tracking and Kibale as a park. 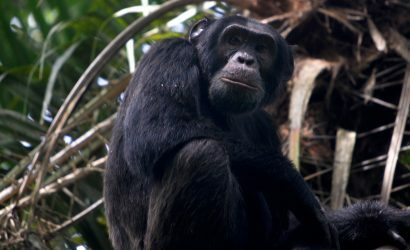 After briefing, you will then hike through this tropical forest in search for Chimpanzees. In the afternoon you will go for a nature walk in the Bigodi wetland sanctuary where you can find other primates that include, Baboons, Bush Babies, Red Tailed Monkeys, Colobus Monkeys and Grey Cheeked Mangabeys to mention but a few. This wetland has sole fauna and flora that is unique that includes about 138 different bird species. Today you will drive to Queen Elizabeth National Park enjoying breathtaking views of the mystical Rwenzori Mountain range. You will have a game drive as you enter the park where you might see different animal species which include the comical Warthogs, Lions, Leopards, Buffaloes, Elephants, Hyenas and a variety of Antelope species. After lunch, proceed to for a launch cruise on the Kazinga Channel. On the cruise different animals can be seen drinking water along the shores. These include Hippos, Elephants, Buffaloes as well as water birds. You will enjoy a game drive to Kasenyi plains and later proceed to the Ishasha sector in search of the famous tree climbing Lions which are always spotted clinging on old fig trees. A drive through this open savannah landscape characterized with a variety of acacia trees is quite a memorable adventure. Proceed to Bwindi Impenetrable National Park found in the southern part of the country. Time permitting, you could visit the local communities neighboring the park and learn more about their lifestyle or relax at the lodge. You will have an early breakfast and then enter into the Gorilla sanctuary of the spectacular Bwindi Impenetrable forest. This tropical moist forest is a home to half of the remaining Mountain Gorillas that are consecrated in dramatic, heavily forested and dense landscapes. Gorilla trekking a once in a lifetime experience takes about 2-6 hours. Looking into the deep eyes of the rare, moving and fascinating mountain gorillas is quite an unforgettable experience that you can only receive from Uganda. After breakfast, you will drive to Kabale enjoying the scenic views of the beautiful terrain of the rolling hills with terraced landscape. The scenery and the cool temperatures have awarded this area to be referred to as the "Switzerland of Africa” since it nearly resembles the Swiss Alps. We shall have a convenient stopover at the Bakiga Museum in Kabale to discover the culture of the people living in the area. After having lunch, take a boat ride on Africa’s second deepest lake. The boat ride will take you to various islands for bird viewing and sightseeing, after which you will retire for the night. 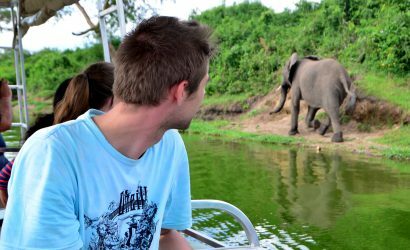 Today you will drive to Lake Mburo National Park, the smallest savanna national park in Uganda. Reaching Mbarara by lunch time, have lunch and rest a bit. Take an evening game drive through the park. During the game drive expect to see a variety of animals like beautiful Impalas, Cape Buffalos, Zebras, Oribis, Elands and Topi. 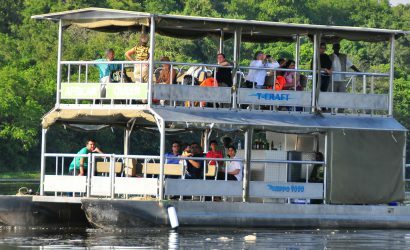 Along with the game drive, many visitors also enjoy a boat trip on Lake Mburo. 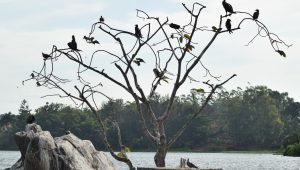 A number of acacia associated and water birds can also be seen in the park. These include Papyrus Gonoleks, Brown-Faced Lapwings, Carruther’s Cisticolas, the extraordinary White winged Warbler and Bare-faced Go-away bird. Retire for the night. You will start your day with an early morning optional game walk through the Park and later return to the lodge for breakfast. Go for a guided nature walk to the salt lick area where there is a blind animal observatory that can allow you to see more than four different animal species licking salt from the salty soils. After having lunch, embark on the drive to Kampala having a stopover at the Equator for some photos and arriving in Kampala late evening. Dinner and Overnight in Kampala. Today will be the end of your unforgettable Ugandan experience. Depending on your International flight you will proceed to the Entebbe airport.